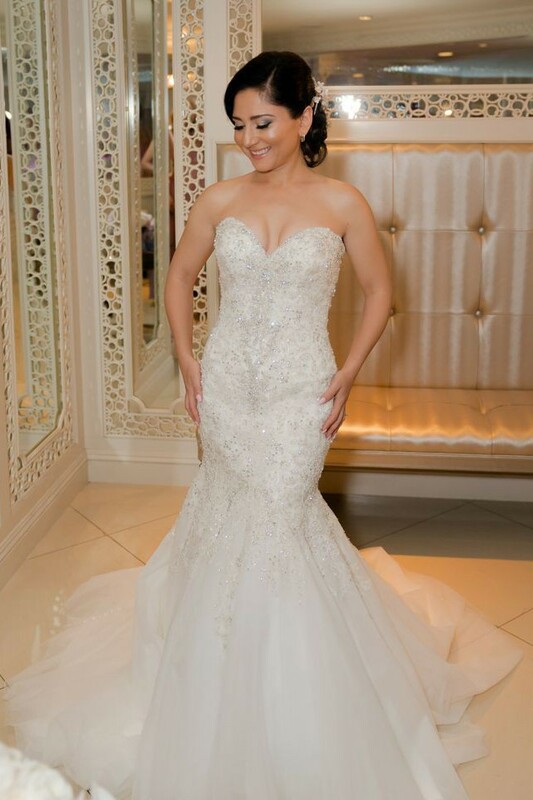 This gown is a gorgeous Allure Bridal mermaid style with a beautiful beading detail throughout. It was custom made with the proportions for a female height of 5'0". The train is long and the dress is very regal looking. It was only gently worn once, then professionally cleaned and preserved (see last photo). I had push up bra cups sown in but these are easily removable if individual chooses to do so. It already has bustling so no need to spend extra. Any additional information will be provided upon request. Once you send a message, Salome can invite you to purchase the dress.